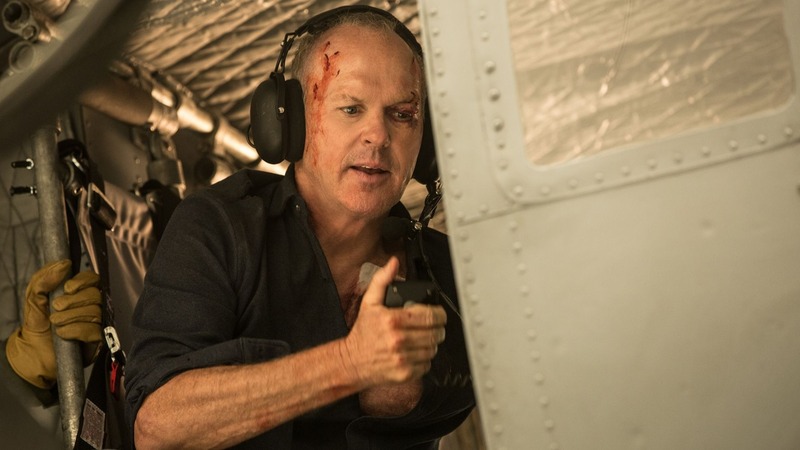 Ben Collins, the man formerly known as The Stig, talked American Assassin with loaded. He’s raced in pretty much every class imaginable, from Formula 3 through to American Stock Car Racing. 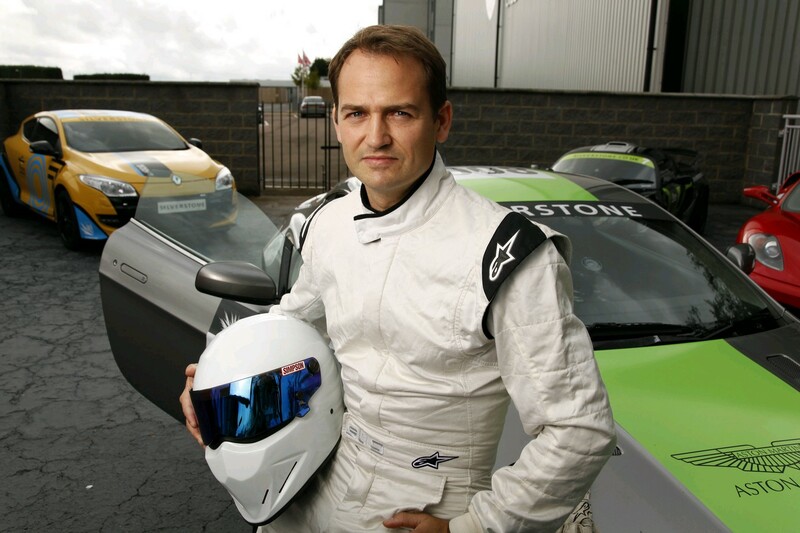 Most people probably know Collins from his time on Top Gear as The Stig though, where he regularly outraced some of the biggest and best names in motorsport and celebrity. A World Record Breaker and best-selling author to boot, Collins has also found time to work as a Hollywood stunt driver and recently lent his services to the high-octane Michael Keaton CIA thriller American Assassin, starring Dylan O’Brien and Taylor Kitsch. To mark the film’s released on Blu-ray and DVD, loaded sat down with Collins to talk Top Gear, high-speed chases and Chris Evans. loaded: What were the biggest challenge of working on the car chase sequences for American Assassin? Ben: We filmed some parts of the chase on live streets in Rome. If you’ve driven there you’ll know that Italian drivers take no prisoners at the best of times. The cobbled streets and piazzas were stunning, and buzzing with rush hour commuters and people just hanging out and drinking coffee. On one back alley there was a gent drinking his espresso very slowly, while leaning over a balustrade where we had an inch of clearance to fit the vehicle through. He seemed to find the situation highly entertaining and never moved a muscle. But we loved Rome. loaded: How did you end up working on American Assassin in the first place? Ben: I had the pleasure to work with Buster Reeves, the Stunt Coordinator, on Dark Knight Rises when he doubled “Bane” and he called me up to work with Dylan O’Brien who plays “Mitch” in the movie to teach him some driving and get stuck into the car stunts. Buster has an eye for action and is renowned for creating visceral fight scenes which he translated into the car elements and we had a blast tearing up the motors. loaded: How did it differ to your experience in working on Top Gear? Ben: Film budgets are usually much bigger than TV which means we have more toys and can afford to break stuff. There’s also a focus on creating something timeless so the shots take longer to set up but the end result has more impact on screen. There are a lot more cameras and specialist crew running around for productions like Assassin so I had to mind out for those when we were smashing through markets and obliterating other cars. Like Top Gear though, you’re working with the best. loaded: What, for you, are the key ingredients of a great on-screen car chase? Ben: There needs to be an element of suspense and a strong story to hook you right from the start, and then the action has to have enough energy to deliver on those expectations. For me the key ingredients are having the best people to shoot the chase, an awesome location, the right tools in terms of the vehicles and a steady hand in the edit. I really enjoy the old school chases where the camera lingers on the scene and lets the audience absorb and enjoy what’s happening. Hopefully we delivered. loaded: If you had to pick out your favourite film car chase sequence, which would it be and why? Ben: It’s hard to top Ronin because the chase was so frenetic. Despite being one of the longest car chases of any movie it never lost the suspense. It was filmed with big sweeping wide open shots of the cars speeding through the landscape, and without too many abrupt jump cuts spoiling the view. And they shot over the shoulder so you felt like you were in the car with that lunatic driving the Audi. 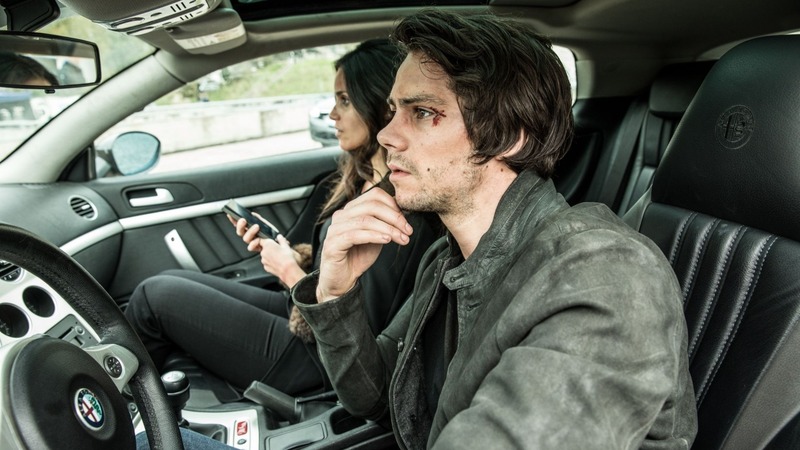 loaded: You might not have seen either of them behind the wheel on American Assassin but if you had to pick any of Dylan O’Brien, Michael Keaton or Taylor Kitsch to drive you to work on time, through busy central London traffic, who would it be and why? Ben: What an impossible question. I didn’t meet Taylor on the film so I guess it comes down to Keaton or O’Brien. Dylan was fearless during rehearsals so I’m guessing that he would be the man to get me there on time if speed was the only concern. But if there was congestion, Keaton would be able to vaporise the traffic by just staring at it. You said central London so I guess I’d rely on Keaton to nuke the streets with his eyes and get me there. loaded: How did you end up playing The Stig on Top Gear? Ben: There was a Stig before me who wore black but they killed him which opened up a vacancy. I went down to the Top Gear test track, did some times in a reasonably nice car and thought that was the end of it. It turned out my times were fast and several months later I was called up, and the Stig in the white suit was born. The next 8 years were a blur. loaded: The identity of the Stig was a pretty closely guarded secret – were you ever tempted to just blurt it out to people during your time on the show? Or was that in your contract? Ben: It was clear that Blurters would be killed like the guy before me and I loved the job so I was never tempted to tell anyone. I bit my lip a couple of times when I heard people at the bar giving a someone a line about their driving job on Top Gear wearing a white helmet, but mostly I didn’t want to blow it. I used to wear a balaclava to work and always hid my clothes in case anybody checked my wallet for my ID while I was out driving, and I even created a fake BBC ID card to check into hotels under a pseudonym: “Richard Jameson”. loaded: What’s your favourite/funniest memory from playing The Stig on Top Gear? Do any cars or challenges immediately spring to mind? Ben: Getting arrested at Edwards Air Force base was memorable but the funniest and weirdest moment for me was the day we all drove to Blackpool for the illuminations ceremony. I waited all day for the three talky-men to arrive and filmed a load of footage of The Stig having his fortune read, attending a magic show and riding rollercoasters. It was surreal. Eventually the presenters arrived and we walked onto the stage. When I could finally see beyond the stage lights there were tens of thousands of people cheering and an object flew out of the crowd in my direction. I tracked its progress as it lobbed through the air and landed at my feet, and realised that it was a pair of knickers. It was an out of body experience and my stomach did something unusual. loaded: Do you still watch Top Gear since Jeremy Clarkson et al left? Did you even watch it to begin with? Ben: I watched Top Gear regularly until about 2008 and from then on occasionally which is probably where I am now. The problem is that I get completely addicted to series like Game of Thrones and currently Bloodline, so like most people it’s all about finding time. Ben: I think the show is still rebooting to some extent and poor old Chris Evans got the brunt of viewers’ rage that their favourite show had suddenly changed overnight. It will keep improving, changing and new characters should hopefully come to the fore. Which, for you, is the better show: Top Gear or The Grand Tour? Ben: I think the Grand Tour currently has the edge, but only just, because they are being bold, we know the characters and they aren’t afraid of anything. But they are constrained by their format so when it comes to the future with all the crazy new technology coming our way like Artificial Intelligence, electrification and networked vehicles there needs to be something new that grabs these subjects by the balls and entertains us. 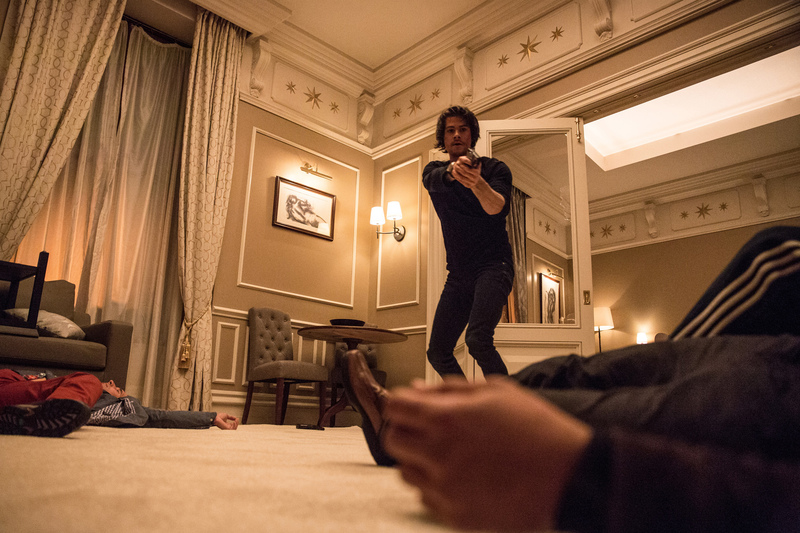 American Assassin starring Michael Keaton, Dylan O’Brien and based on the best-selling Vince Flynn novels is out to download, on DVD, Blu-ray and 4k UHD Blu-ray on the 15th January. Ben Collin’s book “How To Drive” is out now.